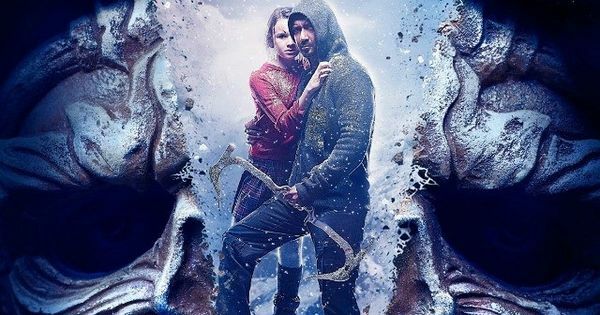 Shivaay 10th Day Collection 10 Days Shivay 2nd Sunday / Weekend Box Office Report: With Shivaay movie collection, this year the history of Bollywood films has been changed. The Diwali performance which is used to be the most important days of any Bollywood film is not proving themselves any longer fruitful. Till now it was a belief in the Hollywood that even the crappiest film will release on Diwali holiday it will be a superhit on box office. Shivaay collection had changed the theory completely as the holiday didn’t benefit much from the film. This year Diwali clash got unnecessary media controversy with nothing in the hand actually. Shivaay remains high on the hopes of movie critics being the Ajay Devgn’s dream project. The decision of being the solo actor in the film had somehow affected the actual potential. Shivay collection failed to take any growth in the multiplexes even during the last week and this week too. The mass centers/ single screens remain better for the movie facing such fierce competition from Karan Johar. Along with that, the overseas market didn’t work well for Ajay and ADHM minted the most out of it. Shivaay 2nd weekend response was not up to the mark. The film even failed to get the normal occupancy as observed for the big superstars during the 2nd week of their films. It appears that fickle is losing the competitive edge and came up with the only fortune for Devgn. The only last hope which could save it was the better conditions in northern India. Because of smog in many places, people are avoiding going out resulting a huge drop in earnings of the film. The overall occupancy rate of less than 20% was observed during the entire weekend. Even the best critics of Ajay Devgn had admitted that overall story of Shivay was better than the competitor. At the same time, lovers of Ajay Devgn are also criticizing the actor for being a director in his own movie as the length of the screenplay was dragged unnecessarily in the first half and second half as well. In comparison to other movies of Ajay Devgn, Shivaay had performed much better in the BO. But in contrast to ADHM collections, Shivaay box office collection didn’t perform much better. The Diwali war was won by ADHM as the movie was successful in attracting the audience with unlimited gags. The overall response from the overseas market was below par. Film went well in western countries than the middle east. Shivaay total collections for 10 days is 97 crore rupees, and it could cross 100 crores with the end of 2nd week. So Good Film of Ajay … Congretulations for soon film will Enters 100 Crore club !!!! Happy to see this Ajay Devgn 6th Film will Surpass this 100 crore Milestone !!!! Its great movie and quality of pictures extremely good, please watch the in multiplex .Ajay dvgn is great star . Best action movie of Bollywood,,,hats off to Ajay… Great going….